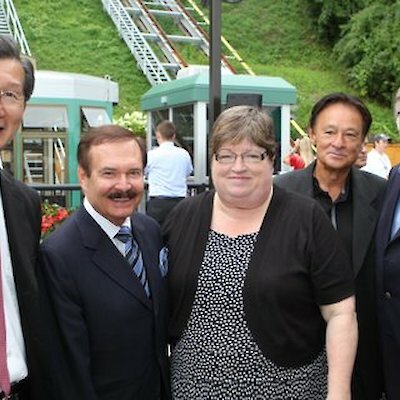 I attended the official opening of the Niagara Parks Commission newly revamped $7 million incline railway that operates from the Table Rock area near the falls to the top of the Fallsview area. 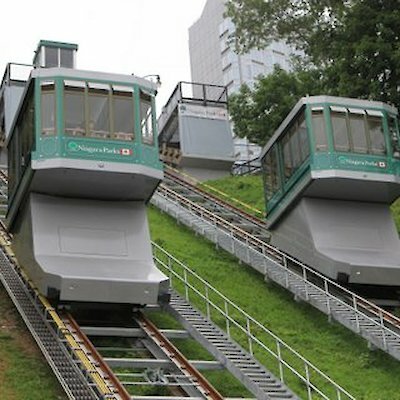 These new cars, there are two of them, can carry 40 passengers at a time and unlike the previous cars will be enclosed and operate year-round. There is still some test runs for employee training before the railway opens to the public on August 16th. The cost will be $2.50 one-way or $5.00 for a round trip. 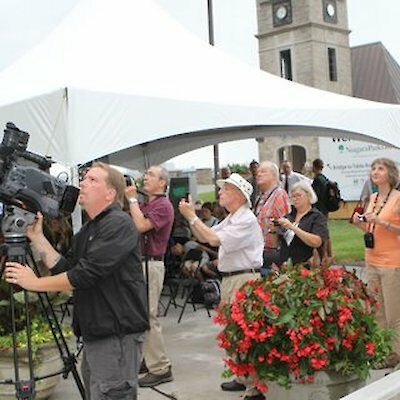 Michael Chan, Ontario Minister of Tourism and Culture and Niagara Parks Chair Janice Thomson were two of the dignitaries that helped officially open the new railway. Here are a few photos I took at the ceremony.